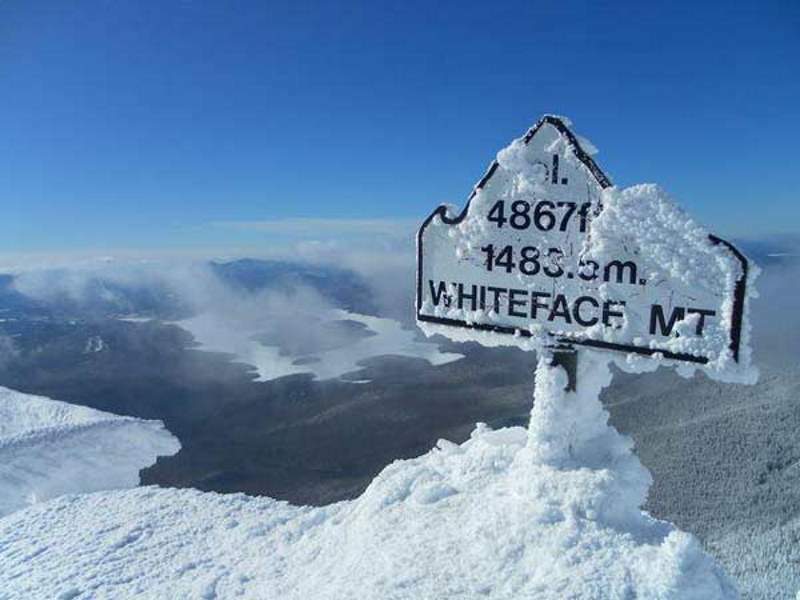 Whiteface Mountain is the fifth-highest mountain in the U.S. state of New York, and one of the High Peaks of the Adirondack Mountains. Set apart from most of the other High Peaks, the summit offers a 360-degree view of the Adirondacks and clear-day glimpses of Vermont and even Canada, where the skyscrapers of Montreal, 80 miles (130 km) away, can be seen on a very clear day. Located in the town of Wilmington, about 13 miles (21 km) from Lake Placid, the mountain’s east slope is home to a major ski area which hosted the alpine skiing competitions of the 1980 Winter Olympics.